Cooking is a major survival skill nowadays. 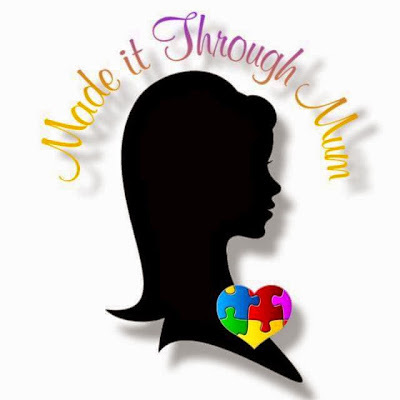 So you may as well learn to enjoy it by making it fun and easy. There are many simple ways to make plain food interesting. 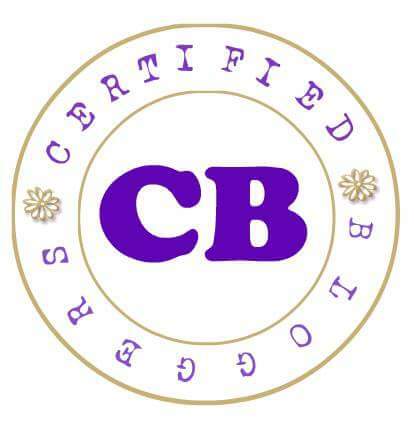 You don’t have to follow some complicated recipe or create a whole new dish. Instead, you just have to be creative about how you cook it and then think about the flavors you want to go with them. 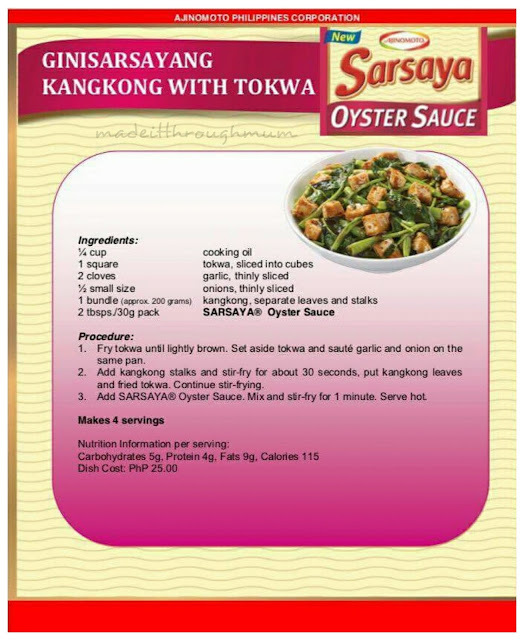 That's why Ajinomoto Philippines Corporation brings us its latest product; every homemaker's partner in the kitchen --- Sarsaya® Oyster Sauce. 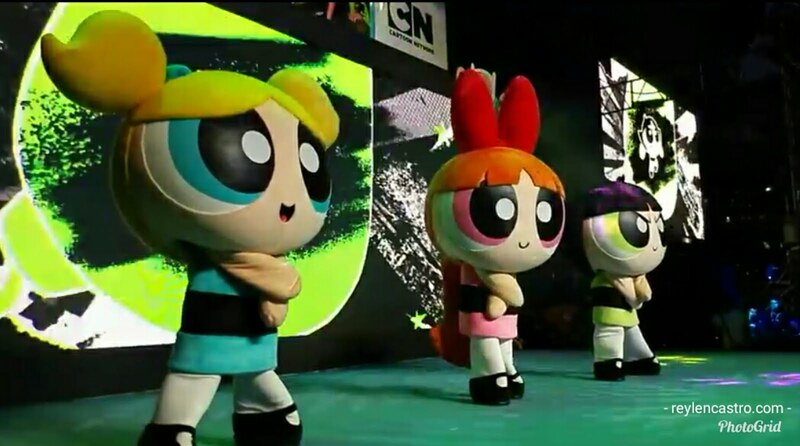 What's more exciting is their celebrity endorser. 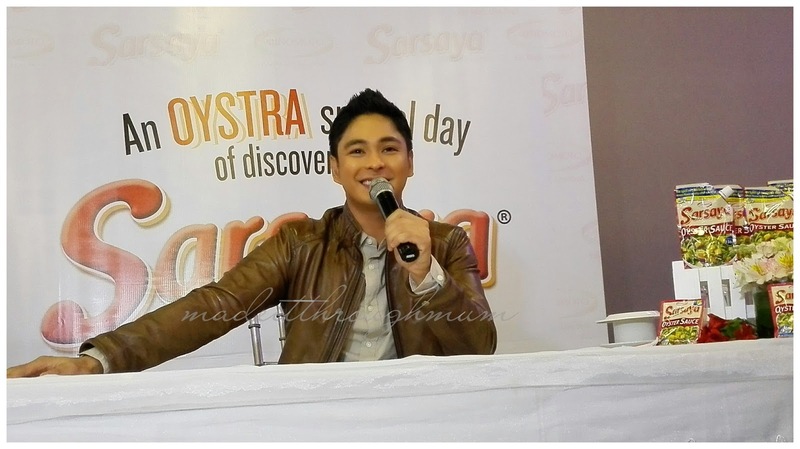 The King of Primetime, SPO2 Ricardo "Cardo" Dalisay of Ang Probinsyano : Coco Martin. 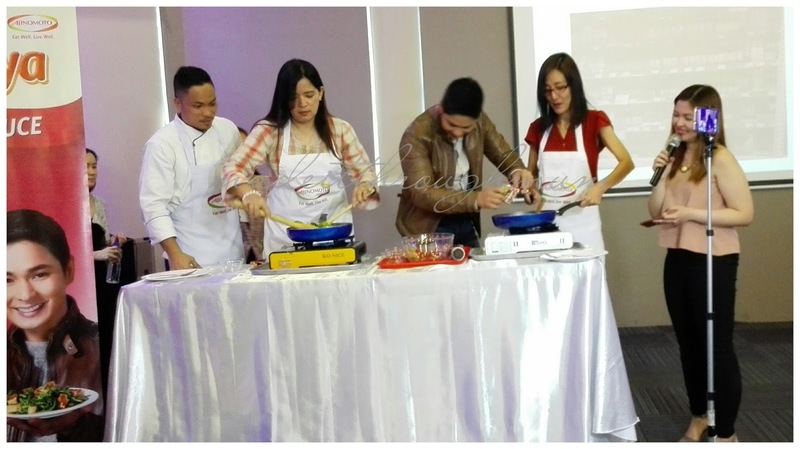 Last February 23, Ajinomoto Philippines Corporation held a press conference at Hotel Madison 101 in Quezon City for the launch of its newest product, Sarsaya® Oyster Sauce, and celebrity endorser, "Ang Probinsyano" Mr. Coco Martin. 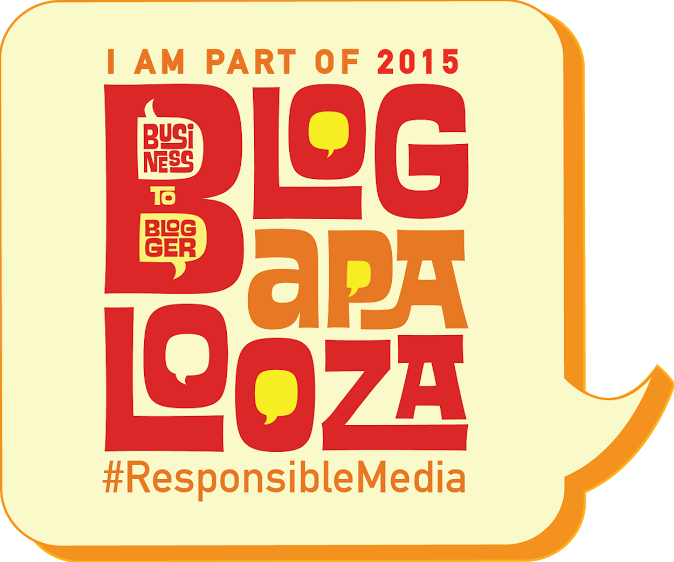 During the event, a live cooking demonstration and cook-off was facilitated by Chef Mcrhyan Rodrigo. Chef Mac cooked Filipino favorites Ginisarsayang Kangkong with Tokwa and his own recipe, Thai-style Stir Fried Chicken using Sarsaya® Oyster Sauce. 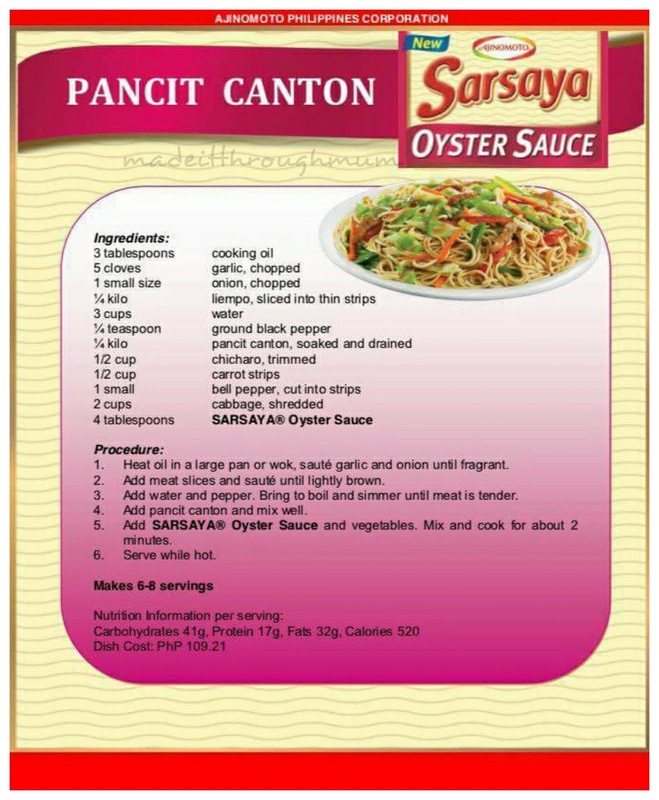 Guests were also invited to participate in a cook-off, where they discovered the convenience of using Sarsaya® Oyster Sauce to turn ordinary dishes extra special and flavorful. No less than the Primetime King, Mr. Coco Martin, was chosen to endorse Sarsaya® Oyster Sauce. Aside from being a big fan of his grandmother’s cooking, Coco graduated with a degree in Hotel and Restaurant Management. 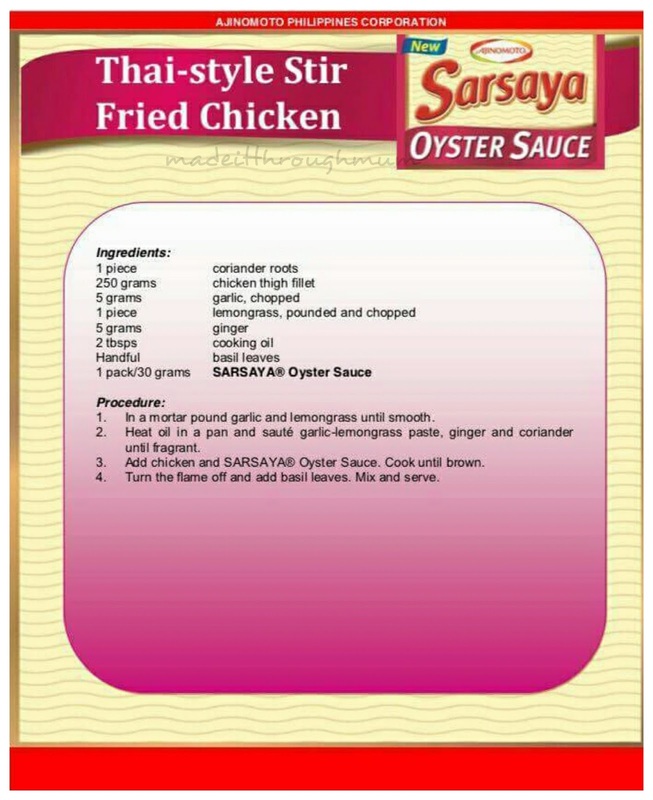 Coco claimed, “Kakaiba dahil lasang oyster na oyster!” He loved how Sarsaya® Oyster Sauce can add that delicious and authentic oyster flavor that truly enhances simple dishes. 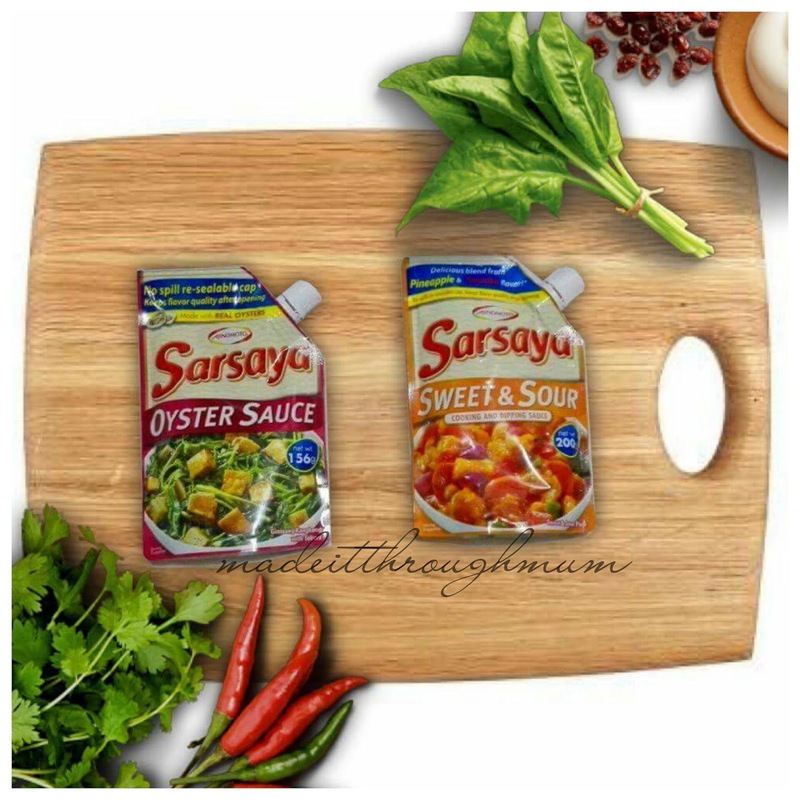 Sarsaya® Oyster Sauce is available in 30g pack and 156g stand-up pouch. Also try Sarsaya® Sweet and Sour Sauce, available in 200g stand-up pouch, for a delicious blend of pineapple and tomato flavor.